1) Mothwasp I was able to see a warm-up rehearsal for this, and was hit with a wall of sound (+ amazing visuals). 2) Faust This is going to be great if previous performances from Matt Eaton (Pram) and Gareth Jones (Misty’s Big Adventure, Grandmaster Gareth) are anything to go by (I'm specifically remembering last years live score to F.W. Murnau's Nosferatu). 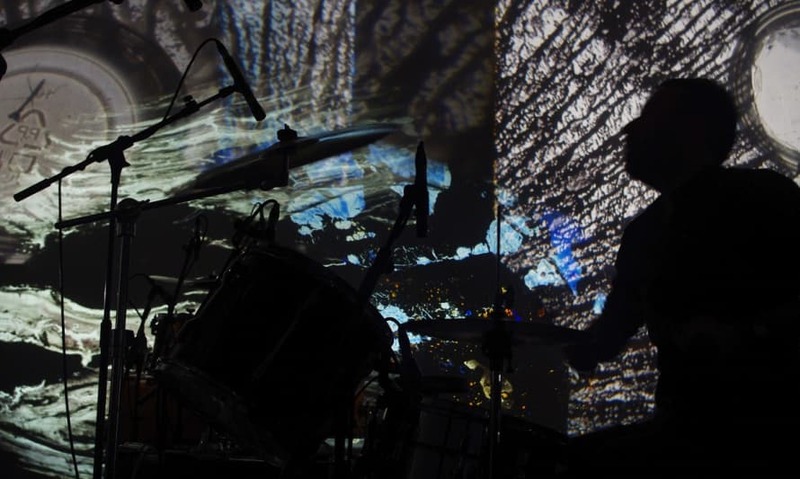 And this years atmospheric live score will take place in the theatrical surroundings of Birmingham's Old Rep.
3) Pierre Bastien + Brian Duffy Another highlight from the Optical Sound strand, this double bill really focuses on the medium itself - a sculptural take on what music is and can be. 4) La Jetee: Rescored by Larva Larva excel at rethinking soundtracks - I recently bought their rescore of The Mask (cult suspense film from 1961) - and I can't wait to see and hear what they have in store for Chris Marker's sci-fi masterpiece La Jetee. 5) Screendance I have a limited experience of contemporary dance and dance on film, which is the main pull of the Screendance programme. I've seen a few samples of what's in store and the way dance and movement are articulated on camera is mesmerising!